Nowadays, orchestral pop hits are largely a thing of the past. It is no longer a common occurrence for contemporary singers to be tracked live in the studio alongside string, horn, and woodwind sections, as well as electric guitars, keyboards and drums. 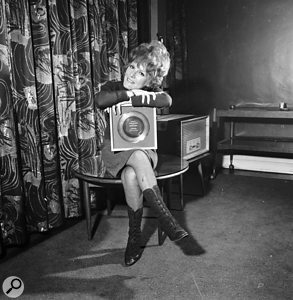 But it was the standard way of working back in October 1964, when Petula Clark recorded 'Downtown' at the Pye Studios on London's Marble Arch. Released the following month, it became a number two UK hit that December and a US chart-topper in January 1965. This celebration of curing life's problems by revelling in the bright lights, neon signs and "music of the traffic in the city” was not only the perfect encapsulation of pre-psychedelic swinging '60s optimism, but also a classic example of the brilliantly arranged, instantly infectious three-minute single that melded mod sensibilities with showbiz polish. And to think, the lyrics penned by its English composer/producer were not even inspired by the attractions of his nation's suddenly in-vogue capital. A child star of film, TV, radio and record, known in the 1940s as 'Britain's Shirley Temple', Petula Clark had been signed to Pye since 1955 and enjoyed her first UK number one in 1961 with 'Sailor'. Although Alan A Freeman had produced that track, as he had all of Clark's recordings since 1949, his assistant on the 'Sailor' session was Tony Hatch, whose first song recorded by her was the 1963 flop 'Valentino'. Thereafter, Hatch took over as her producer and capitalised on Petula's popularity in Europe via some French-language releases. At home, it was a different story. A string of nondescript singles meant that, by 1964, she was in dire need of an English-language hit, so Hatch visited her home in Paris to play her three or four songs he had acquired from music publishers on a trip to New York. Pet wasn't impressed... until she heard a few bars of an incomplete soul number that Hatch intended offering to the Drifters. The 'Downtown' session took place about two weeks later, on 16th October, 1964. Thirty minutes before it commenced, Tony Hatch was still fiddling with the lyrics in the studio's lavatory. 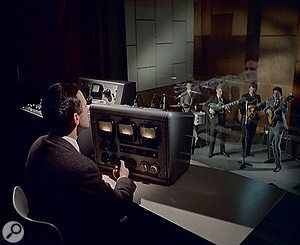 This was because when he took charge of a production — as he had already done with the Searchers (for whom he'd penned the hit release 'Sugar & Spice' under the pseudonym Fred Nightingale) — he insisted on everyone recording together at the same time, be they members of a four-piece group or, as in this case, a large ensemble. The musicians assembled included eight violinists, two viola players and two cellists, four trumpeters and four trombonists, five woodwind players with flutes and oboes, percussionists, a bass player and a pianist. Also present was famed session drummer Ronnie Verrell (not Bobby Graham, as has been erroneously reported elsewhere), female vocal trio the Breakaways, whose backing-singer credits would soon range from Dusty Springfield to the Jimi Hendrix Experience, and session guitarists Big Jim Sullivan, Vic Flick and Jimmy Page. "Quite often on the Hatch sessions, not only did we have Jim Sullivan and Jimmy Page, but also John McLaughlin sitting in as part of the rhythm section,” says engineer Ray Prickett, who recorded 'Downtown' in Pye's Studio 1. "Can you imagine being around that collection of talent? For 'Downtown', looking down on the live area from the upstairs control room, the drummer was in the far right corner, the bass player was to his left (again, from our perspective), the guitarists were about halfway along the right-side wall, the percussionists were at the near end of that wall, the pianist was in the middle of the studio and Tony's arranger Bob Leaper was conducting nearby. 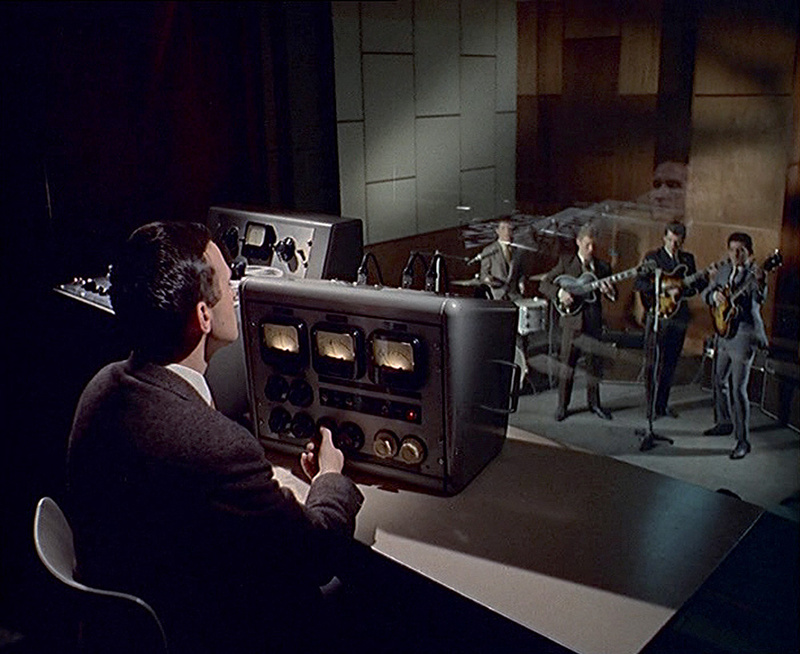 Opposite the control room, near the facing wall, was where Petula and the vocal group were set up, with a few small screens between and around them to provide a little bit of separation. The strings were to the left of them (as we were looking at the room) facing towards the conductor, and further left was the brass section, while the woodwind were in front of the string section. "When you listened to any of the mics, there wasn't full 100 percent separation. Not by a long way, because that wasn't what we were aiming for. The way I saw it, and Tony agreed with this, was that the sound wasn't as good when we recorded different sections separately. When the whole orchestra plays together, something happens — all of the air is being moved by those instruments and that's what gives you a big, ambient sound. This is why there was minimal screening even around the vocalists; maximum separation would have defeated the object of having all those people playing in that room. Ray Prickett had no such concern when, as an 18-year-old in 1952, he gained his first studio experience. This was at a facility named Gui de Buive, where he worked with tape and direct-to-disk recording before landing a job three years later as a cutting engineer at IBC. In 1958, IBC became the first UK facility to be equipped with a stereo lathe, and it was there that Prickett also tracked easy listening, orchestral-pop sessions, including several produced by the aforementioned Alan Freeman (not to be confused with the disc jockey of the same name). 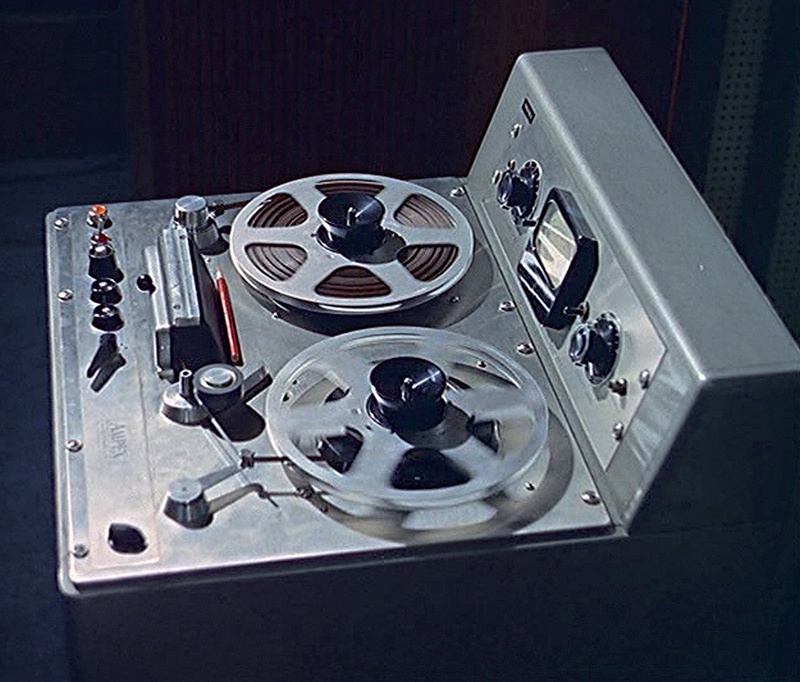 This, in turn, paved the way for the fully fledged engineering work that Prickett did after moving to Pye in 1963, recording anyone from Lonnie Donegan and Kenny Ball to the Searchers and, of course, Petula Clark. Located inside ATV House, Pye had two studios: the 40 x 30 x 18-foot room where 'Downtown' was recorded and the 20 x 20 x 18-foot Studio 2. 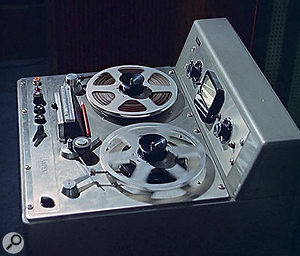 The former, in addition to its Neumann console, housed an Ampex four-track tape machine, Tannoy dual-concentric speakers inside Lockwood cabinets, an echo chamber, a couple of rooms with EMT 140 echo plates, and a good selection of mics that included Neumann U47s, M49s and an SM2 (and, later, U67s, U87s and KM84s), AKG C12s and Sennheiser MD421s. Without a doubt, this worked on 'Downtown'. Ronnie Verrell's drumming, deft yet with a light touch, features prominently — courtesy of a solid bass drum, heavy snare backbeat on the choruses and crisp ride cymbal — while fitting in with the rest of the instruments. A case of perfect blending rather than perfect separation, this was balancing done the organic, old-fashioned way, and the results speak for themselves. "For the bass guitar, we didn't DI much in those days, so we would have miked the amp,” Prickett continues. "We of course did the same with the electric guitars, there would have been a mic on the acoustic, and for the piano I used the stereo SM2 — the lid would be partly open with the mic inside, and then we'd put a cover over the top just to keep some separation. "For the strings, I'd use two mics as a stereo pair on the eight violins, and then one each on the pair of cellos and pair of violas. Then there would be no more than three mics on the woodwind section, two on the trumpets, another two on the trombones, and either U47s or U67s on the vocal and backing vocals. 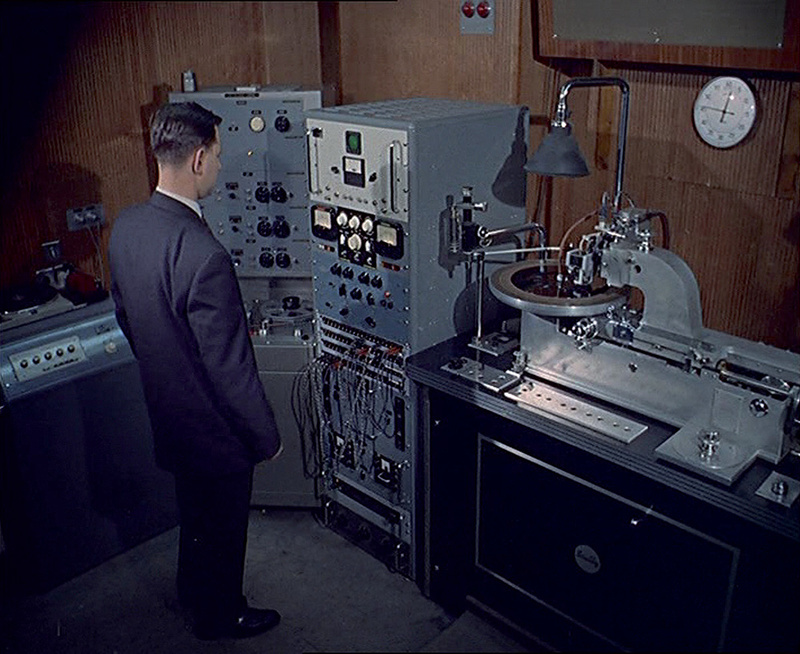 Whereas most British studios of that era adhered to a strict timetable — with sessions running from 10:00am to 1:00pm, 2:00pm to 5:00pm and 7:00pm to 10:00pm — Pye's engineers were used to often working beyond the regular recording sessions into the wee small hours so that they could finish a mix and meet the deadline for delivering the finished product to the pressing plant a few hours later. 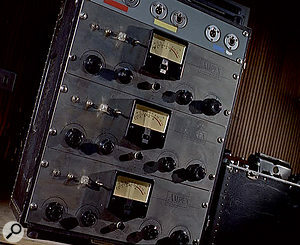 For the mix of 'Downtown', since the stereo musical backing had already been mixed live, Prickett's main task was to just add the lead and backing vocals at the desired levels. Evidently, the record-buying public agreed. Following its release, 'Downtown' not only ended a two-year chart absence in the UK for Petula Clark, but during its three-week stay at number two in December 1964, the single was only kept from the top spot by the Beatles' 'I Feel Fine'. Certified silver for domestic sales of over half a million, it also hit the top five in countries as far apart as Ireland and India, while going all the way to number one in the English-speaking territories of Australia, New Zealand, South Africa and Rhodesia. Still, its greatest triumph was reserved for an America that was in the full throes of the so-called 'British Invasion'. 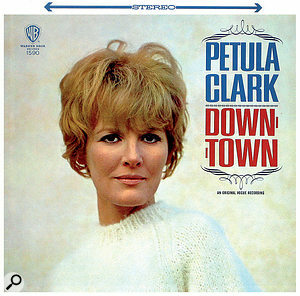 Given that Tony Hatch had first thought about writing 'Downtown' while standing in New York's Times Square (which, he didn't realise, is actually part of the city's midtown), he was concerned that Warner Bros A&R exec Joe Smith would think Petula Clark's unmistakeably English accent sounded ridiculous when she sang Americanisms such as the song's title, "sidewalk” instead of "pavement”, and "movie shows” instead of "cinemas”. He needn't have worried. As soon as Smith heard the record in Hatch's London office, he loved this "observation from outside of America” that, to his mind, was "just beautiful and just perfect.” In fact, such was Smith's enthusiasm, it even inspired Pye executives to give the single a stronger sales push in the UK, where it would scoop an Ivor Novello Award as 1964's 'Outstanding Song Of The Year'. Released by Warner Bros that December, 'Downtown' repaid Joe Smith's faith by making its way into the top 10 of the Billboard Hot 100 within five weeks. Then, on 25th January, 1965, it commenced a fortnight's stay at number one, making Petula Clark Britain's first female chart-topper in the US during the rock era (just over 12 years after Vera Lynn had achieved a similar feat). It also made her the first British girl singer to also earn a gold record in America for sales of one million copies, and the recipient of a Grammy for 1965's 'Best Rock & Roll Song'. "She was a total professional and very easy to work with,” says Ray Prickett, who remained with Pye until 1978. 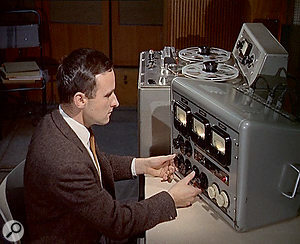 His many other credits including all 14 of Petula Clark's subsequent consecutive US top 40 hits — 'Colour My World', tracked at LA's Western Recorders was credited by Phil Spector's drummer of choice, Hal Blaine, as featuring his best drum sound there. Additionally, Prickett recorded artists such as Donovan, Dionne Warwick, Trini Lopez, Sounds Orchestral, Jay & the Americans, and Françoise Hardy before going freelance and focusing on location work, mainly with military bands. He ended his 56-year career by retiring in 2008. A case in point: the 1964 recording of 'Downtown' which not only surfaces regularly on radio, TV shows and film soundtracks, but has also been remixed and re-released three times; in 1988, 1999 and 2003. What's more, in addition to the multitude of cover versions by anyone from Frank Sinatra to the B-52s, Petula Clark herself has re-recorded the song several times: in 1976 (with a then-trendy disco beat), 1984, 1988, 1996 and, in December 2011, as a duet with Irish rockers the Saw Doctors. Not bad for a chanteuse who has just turned 79. Although Ray Prickett didn't work as a disc cutter at Pye, his previous experience in this field nevertheless proved beneficial to the records that he engineered. "We had two cutting rooms with Scully lathes,” he says, "and I remember one of the engineers there asking me, 'Why is it we never have to do anything to your stuff other than just cut it?' I said, 'Well, I used to be a cutting engineer.' 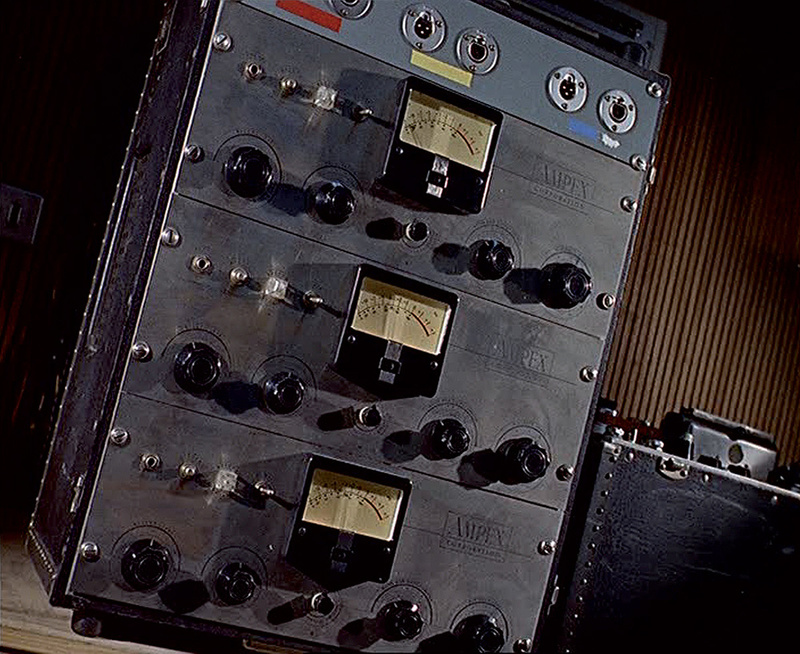 The guys there reckoned that all recording engineers ought to learn a little about cutting.